Very Very Vicky: What's In A Name? 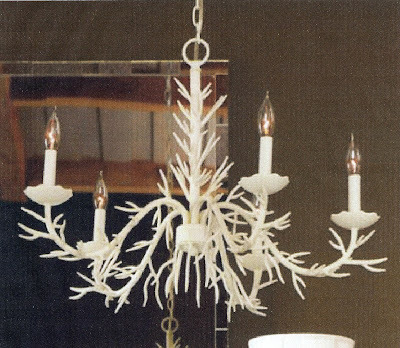 It wasn't an outrageous splurge--I couldn't afford outrageous thanks to FEMA's 50% Rule but this is a knockoff of a more expensive coral chandelier and I was very happy with it. What is the 50% Rule? In order to qualify for flood insurance when your home is below the flood elevation you must go to the only provider of that insurance, the Federal Emergency Management Agency. They want to limit their liability so homeowners are only allowed to spend 50% of the current value of the structure (land is not included in the valuation) to improve their homes every 5 years. We wanted to put a tin roof on our house but we couldn't quite squeeze it into the budget--so it will have to wait until 2017! There is a very diligent local overseer at Tybee and she "put the fear in me" :) There have been lots of wants that we had to pass on but I do have my beloved coral chandelier! My plan is to introduce the coral theme through art and the color coral--I can just picture it! And we are getting closer to making the dream a reality--won't be long now. Stay tuned and see how it all unfolds. I just added the widget that will allow people to follow this blog. It should be on this page to the right. I hope it works properly and I would be honored to have you follow along as we bring the Coral Cottage to completion. Love coral- the color and the actual organism! That chandelier is great, and I am getting excited to see pictures! Keep it up! Thanks Meghan. I thought the widget might show pictures of the people following but perhaps that is a different widget:) Thanks for subscribing to my blog! I was surprized at the use of coral in the architectural buildings of Miami. Coral is used like we use granite as building and foundational blocks, since the local rock is abundant. Just what are widgets? Are they the list facebook, google options at the bottom of the post? Kathy, I think widgets are programs that allow you to add features to your blog or other programs. Not sure if I defined it exactly right. Maybe if Jordan or Tom read this blog post one of them can explain it better......also thanks for the info about the use of coral in building in south Florida. That would be cool to see. This us my third time I've tried to post. It keeps taking me to off locations. Trying again. It worked Becky! Thanks for your comment! I am reading thru your new blog and got to this. I just put that very same coral chandelier in my beach cottage. I think I have found a kindred spirit! Sounds like we could be--don't you just love it?! I added some shades from Pottery Barn..cream color trimmed in a burlap twill..but I think I will take them off as I like them just plain better.. we are in process of selling our home in Kentucky (closing is Novemebr 20!) and will make our (almost to the beach) cottage our permanent home. I CAN"T Wait. That's awesome! I have another friend who sold her home in Kentucky and moved to Florida's coast last year--lots of fond memories but happy to be warm....I am thinking of adding chandy shades to my chandelier--not decided yet on how they will look. Jane and I are talking about decorating some. Concrete Ideas for The Coral Cottage! Coral Cottage Gets a Facial! Our Tybee Cottage Is On the Move!